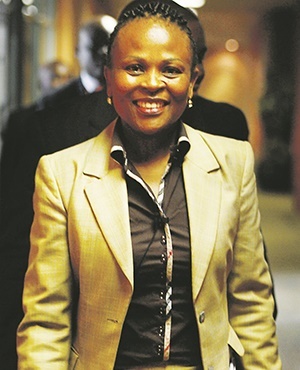 The Public Protector has assigned a senior investigator to investigate the Road Accident Fund for maladministration. Earlier this year, the accident fund was forced to tell its claimants‚ service providers and caregivers that payouts had ground to a halt because its bank account was attached by the sheriff of the court. And on March 17, National Union of Metalworkers of South Africa members at the fund went on strike because of poor wages and to highlight the chaotic working conditions of the organisation. At the time, acting spokesperson for Numsa, Phakamile Hlubi, told City Press that the strike action was directly related to the lack of urgency the RAF had shown towards its employees since it was discovered earlier this year that the fund had racked up debt worth R8.2 billion. “The shambolic state of the RAF management is no secret. The agency has been technically insolvent. It is hugely indebted and its poor debt management has had a material impact on its ability to fulfil its basic mandate of paying out claims to road accident victims,” said Numsa’s general secretary, Irvin Jim, this morning. The RAF believed that it did not receive enough funds from the state. However Numsa believed that the real reason was “because of poor management”. It called on the office of the Public Protector to establish the real reasons behind the poor financial management of the agency. “Our members are concerned that the RAF may be failing in its legal duty to protect the private and personal information of claimants, in line with the Protection of Personal Information Act. Computers that contain the personal medical and financial information of members of the public are routinely seized and auctioned off to the public. According to Numsa the lowest paid worker at the fund was forced to survive on R5000 after deductions, while executives such as its chief executive, Eugene Watson, earned more than R5 million a year. “The RAF management is aware that Numsa members are making their lives miserable by demanding accountability, transparency and good governance, something other trade unions failed to do in the past. As a result, the agency has responded by bullying our members and harassing our shop stewards. It has even gone as far as terminating the interim recognition agreement in an attempt to create the illusion that Numsa does not have majority representation at the agency; it also kicked our shop stewards out of the office to ensure that members at the RAF do not receive any service from the trade union – this is criminal!” said Jim, saying that the fund was attempting to “terrorise our members into silence”. He believed that it was due to its members’ vigilance that the Public Protector was now investigating the fund. The union submitted a memorandum to the Transport department in March but hadn’t received a response from the minister on the allegations relating to mismanagement. It indicated more strike action is on the cards if the RAF “continued to harass our members”.